Mace is commonly used in savory dishes and to flavor milk-based sauces such as bechamel. It is often added sparingly to delicate soups and sauces for eggs, fish, and other seafood. It is widely used in processed meats, such as sausages and charcuterie. Mace and its oil are used in many processed foods where nutmeg is used, but being more costly it is usually used in more expensive foods. 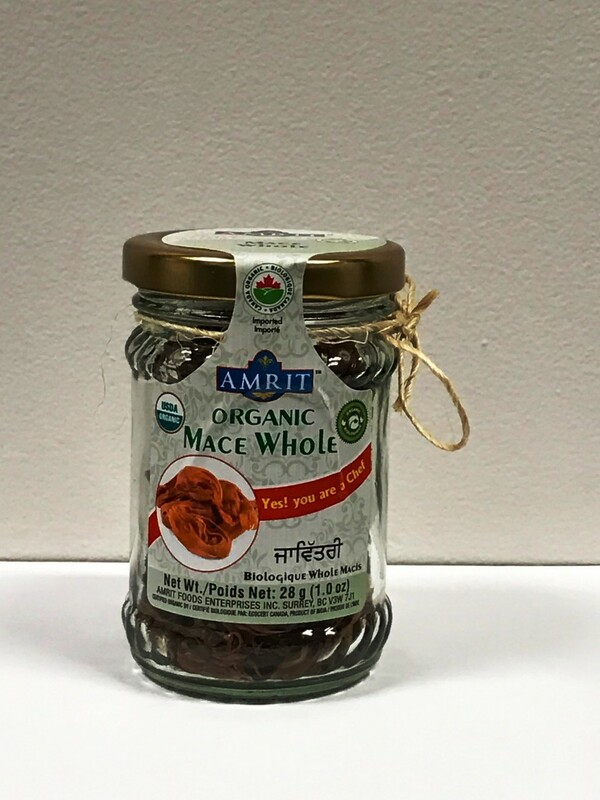 Mace Whole can be easily ground using a coffee grinder.Essentially employed as an aromatic agent; mace spice significantly enhances color, taste, and flavor of foods. Besides, it contains some of the health benefiting antioxidant compounds, essential oils, minerals, and vitamins.Mace features quite a different nutritional profile than nutmeg. It is less in calories but has more concentrations of essential oils, vitamin-A, vitamin-C, carotenes, iron, calcium, The active principles in mace spice have many therapeutic applications in many traditional medicines as anti-fungal, anti-depressant, aphrodisiac, digestive, and carminative functions.